Several days of commemorative activities and events have been unveiled as Wrexham prepares to celebrate 100 years of the RAF. In May 2018 Wrexham.com reported that Wrexham Council had announced plans to mark the RAF Centenary by awarding the RAF in Wales the Freedom of the County Borough. Since then work has been underway organising a week of events to commemorate the event – with range of partners from the public and private sectors coming together to plan the celebrations. The Freedom of the County Borough will be awarded on Wednesday 22 August at a full meeting of the Council. The public events all begin on the Thursday August 23 when an RAF Centenary memorial plaque is unveiled at the RAF memorial garden in Queen’s Square. This will also be marked by a flyover by a Hercules aircraft at midday. A commemorative RAF historial exhibition will also launch at Techniquest on the same day. The exhibition has been produced by RAF historians includes displays about the history of the RAF Station that used to be in Wrexham in both World War 1 and 2. It will also have displays about people from Wrexham who have served in the RAF with distinction – this includes fighter aces from World War 2, Flight Lieutenant David Lord, who was posthumously awarded a Victoria Cross while flying over Arnhem in 1944, together with others from Wrexham who were important in other famous wartime events, ranging from the Great Escape to the famous RAF raid in 1943 on the top secret German rocket base at Peenumunde. As part of the RAF Historical Exhibition, the RAF will also be bringing colleagues from the National Archives who can help you find out more about relatives who may have served in the RAF over the last 100 years. Tŷ Pawb will also be joining in with the event with a photographic exhibition called “Equipped for Life”. The exhibition will include powerful images and stories of the struggles faced by forces personnel when they leave the service. Tŷ Pawb will also be holding art workshops with a RAF theme. The main RAF Freedom event will take place on Saturday 25th August when the town centre will be full of free events and entertainment for people of all ages. Coinciding with the monthly street festival, the event will see an RAF static aircraft take centre stage on Llwyn Isaf – along with catering and refreshment facilities, armed forces stalls, a flight simulator and a Spitfire instrument panel. There will also be live music on the bandstand throughout the day. Later on in the day crowds will be able to witness an ‘RAF Muster’ by RAF personnel, local Air Cadet Squadrons and veterans – with the salute taken by the mayor of Wrexham, Cllr Andy Williams. This will start at 2:25pm and will be followed by a flyover of the RAF Dakota at around 3:17pm. Elsewhere on Queens Square and in the town, the monthly street festival will take on a vintage theme to coincide with the commemorations – along with the usual stalls, entertainers and attractions. 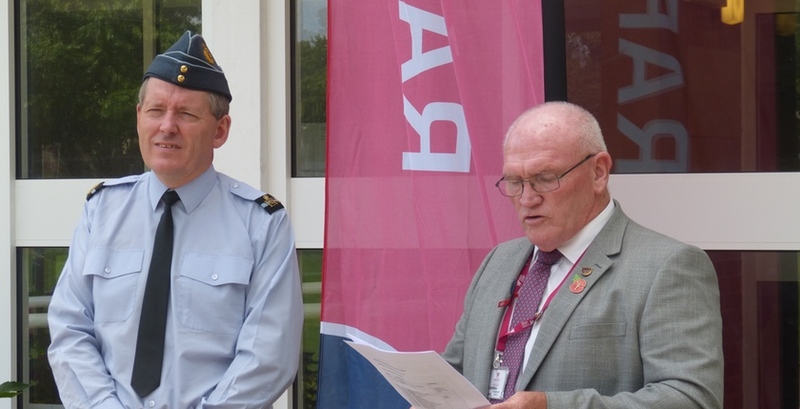 Speaking at the launch event yesterday Armed Forces Champion, Cllr David Griffiths, said: “This is a rare historic occasion which is our opportunity to recognise the achievements of the Royal Air Force in their 100 years and highlight the strong links they have with Wrexham. “I myself am privileged to be Wrexham Council Armed Forces Champion and in my time in that role I have come across many residents who have connections to the Royal Air Force. 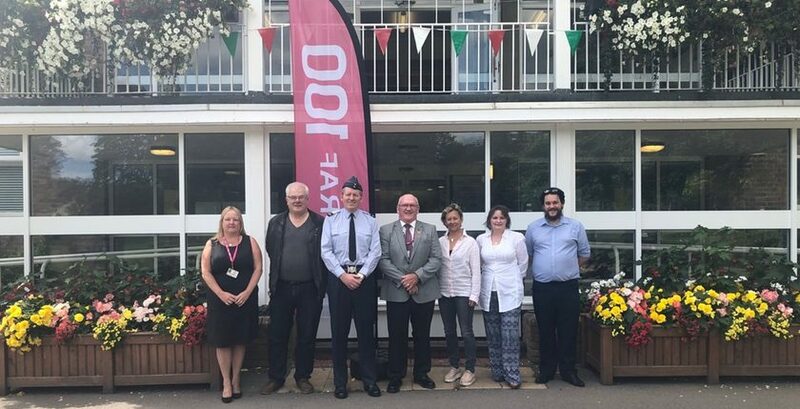 “So it’s wonderful that we can come together to celebrate through the series of events in partnership with the Royal Air Force, Tŷ Pawb, Wrexham St fest and Techniquest. 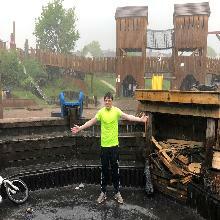 “I want to offer my thanks to everyone who has taken part in whats going to be a successful week. Air Commodore Adrian Williams, who was raised in Denbigh and enrolled in the RAF at the careers office based in Wrexham, said: “It is important to say lot there are a lot of actives over three days. 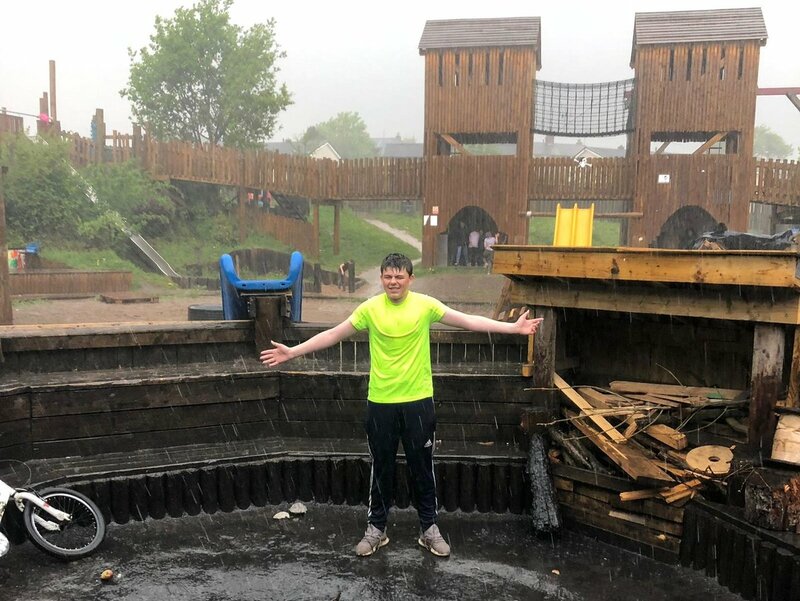 “We have tried to come up with things for the whole family and all different ages to enjoy around the history of RAF and history of the Royal Air Force’s connections with Wrexham. “On Saturday we have a muster here of RAF personnel and air cadets, including a lot of veterans.